Apart from these considerations there is another, perhaps even more important. 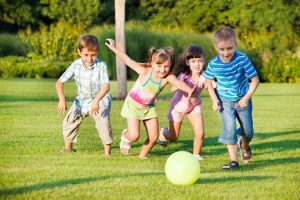 The mind and body of a child demand a great deal of play, and after the first years play can hardly be satisfactory except with other boys and girls. Without play a child becomes strained and nervous ; it loses the joy of life, and develops anxieties. It is, of course, possible to bring up a child as John Stuart Mill was brought up, to begin Greek at the age of three, and never know any ordinary childish fun. From the mere standpoint of acquiring knowledge the results may be good, but taken all round I cannot admire them. Mill relates in his Autobiography that during adolescence he nearly committed suicide from the thought that all combinations of musical notes would one day be used up, and then new musical composition would become impossible. It is obvious that an obsession of this sort is a symptom of nervous exhaustion. In later life, whenever he came upon an argument tending to show that his father’s philosophy might have been mistaken, he shied away from it like a frightened horse, thereby greatly diminishing the value of his reasoning powers. It seems probable that a more normal youth would have given him more intellectual resilience, and enabled him to be more original in his thinking. However that may be, it would certainly have given him more capacity for enjoying life. I was myself the product of a solitary education up to the age of sixteen–somewhat less fierce than Mill’s, but still too destitute of the ordinary joys of youth. I experienced in adolescence just the same tendency to suicide as Mill describes–in my case, because I thought the laws of dynamics regulated the movements of my body, making the will a mere delusion. When I began to associate with contemporaries I found myself an angular prig. How far I have remained so it is not for me to say.